We are delighted to be organising the 3rd Futsal Week Tournament in Zadar, Croatia between 24-30 August 2015. Due to the success of previous years we have expanded the event to include Adult Mens, Adult Womens, Under 19 Men and Under 17 Men competitions. The tournament attracts teams from across the globe who all come to experience this unique futsal festival. 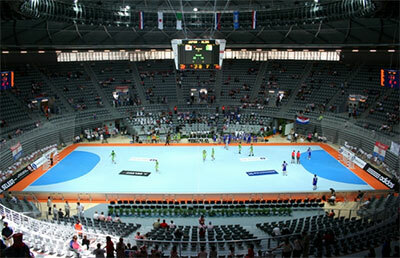 All matches will be held in the stunning Visnjik Sports Complex whose main court has seating for 8000 spectators. In addition to the competition we will hold free coaching seminars throughout the event from leading coaches including FIFA Instructor Mico Martic. 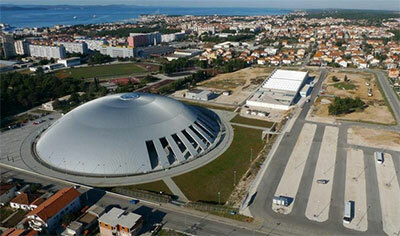 The location for the Futsal Week Tournament is the picturesque seaside resort of Zadar on the beautiful Croatian coast. Our standard all inclusive package offers great value and provides accommodation that is located just meters from the sea and beach. We can tailor our packages to meet your requirements and budget. Our aim is to provide with a memorable and enriching experience that you will never forget. After our previous editions we received excellent feedback on the welcoming atmosphere throughout the event. As well as the futsal, the social aspect is key to having a great time and you are certain to make new friends from around the world and leave with some great memories. We look forward to welcoming you to the 3rd Futsal Week Tournament.